seven − 4 = Required Please enter the correct value. 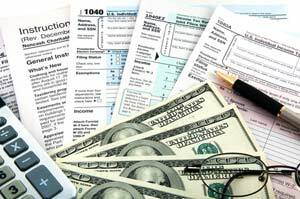 The deadline for submitting 2014 tax returns is fast approaching – and you likely feel you're losing more of your money than you should to the U.S. government. What you pay this year is largely determined by what you did in 2014. But now is a great time to make sure you're doing everything possible so you don't overpay next time around. That's where tax-efficient investing comes in. There are two components to building wealth. The first is making money by maximizing your investment returns. But just as important as boosting returns is a second, often-overlooked component: keeping your money. Many investors don't focus on this enough. They think tax efficiency is a topic that only matters to members of the 1% with billions in offshore accounts. But taxes matter to investors at every level. And as life expectancy increases, we all face the possibility of outliving our retirement savings. Each year it seems Uncle Sam wants to take more of your money. In 2013, U.S. President Barack Obama increased the maximum short-term capital gains tax from 35% to 39.6%. He also raised the top tax on dividends to the same amount. That may not seem like much, but all of these changes have the potential to delay your reaching your financial goals. But you can take measures to keep more of your money and give less to the government. Hold tax-efficient investments in regular brokerage accounts, says Fitz-Gerald. This includes stocks, index funds, exchange-traded funds, and master limited partnerships. Bonds, high-dividend stocks, real estate investment trusts (REITS) and other tax-inefficient holdings go into retirement accounts that minimize taxes. "Normally, I hate taking losses," says Fitz-Gerald. "But next time, if you're coming into the end of the year with some big winners, it can really pay off to let go of some of your underperformers at a loss." The IRS lets you use capital losses to offset realized capital gains. In fact, you can even carry $3,000 in losses forward to use at a future date.